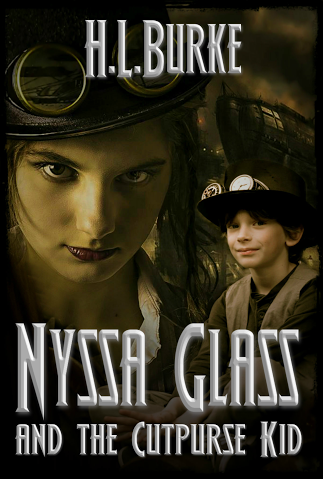 Preorder Nyssa Glass and the Cutpurse Kid!!! 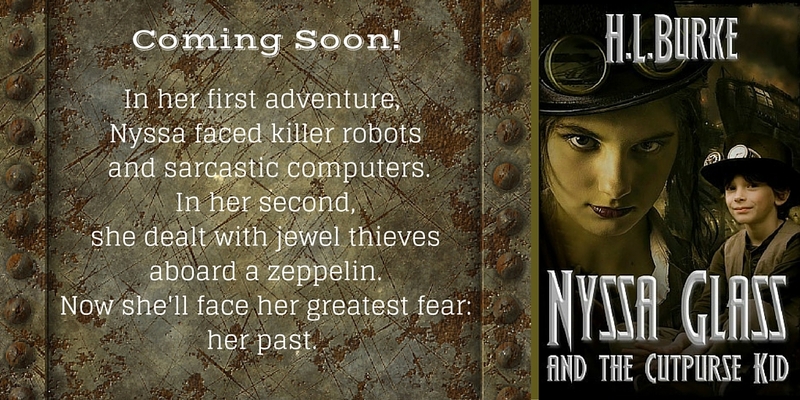 This is the third entry in my Nyssa Glass novella series. I'm doing kind of an odd little thing with these books. 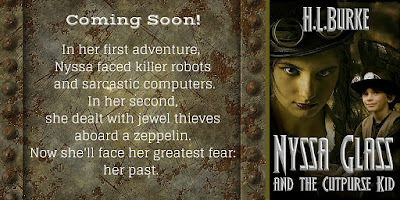 While they are all Steampunk with the same characters, each is an homage to a different subgenre. Nyssa Glass and the House of Mirrors takes inspiration from old school horror, not the modern gore fests, but classics like Frankenstein and tales of creepy abandoned mansions with skeletons (sometimes literally) in the closets. Nyssa Glass and the Juliet Dilemma owes more to classic mysteries, like Murder on the Orient Express or even Clue. A crime has possibly been committed in an enclosed environment. Nyssa must work out who to trust in order to get out alive. 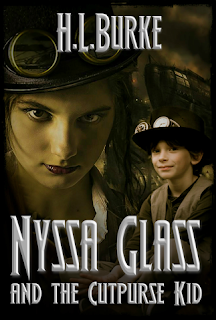 Well, Nyssa Glass and the Cutpurse Kid is more Victorian melodrama. I jokingly describe it as Oliver Twist if handled by Tim Burton. Nyssa struggles to overcome her criminal past which is brought once again to the forefront by her abusive former guardian, Uncle Al. When a young pickpocket is thrown into the mix, Nyssa finds herself mentoring the boy, but Uncle Al lurks like a spider in the corner, waiting to strike. He won't let Nyssa escape his web so easily. Like clockwork, the past always comes back around. When larceny is the family business, it's hard to make a clean break. Reformed cat-burglar Nyssa Glass has finally gotten her life back together. She has her own electrical repair shop, a boyfriend who adores her, and for once, no one is trying to have her arrested. When the shop door rings, though, a man she hoped to never see again threatens to ruin everything. Uncle Albert forced her into a life of crime and now he's convinced she owes him for her success. Nyssa would rather die than give her uncle a penny. But with her reputation on the line and a thieving orphan in the mix she finds herself stuck between the gears. Will Nyssa free herself from the clutches of the past or is everything she’s worked for going up in smoke? Fellowship of Fun ABC Character Nominations!!! !